On Pretending to Know About Education in Japan, pt 1: The System! | This Japanese Life. On Pretending to Know About Education in Japan, pt 1: The System! Posted on July 9, 2012	by E.
After spending two years in a Japanese High School and having multiple conversations with people who actually know how things work, I’m happy to return to my journalistic roots by pretending I’m an authority on something I’ve barely scratched the surface of. Don’t panic. I know “systems” are boring, and part of what makes Japan so inscrutable is the monumental boredom of understanding the country’s beloved bureaucracy. I’ve learned a lot about Japan by understanding this bureaucracy, but that doesn’t mean it’s interesting to read. So, let’s raise the stakes. We’re having a baby! And he’s a 13-year-old Japanese kid. I’m the father. You’re the mom. Our kid’s name is Tetsuo, named after your grandfather. While we’re at it, you also think all my jokes are hilarious. At 13, Tetsuo is in Junior High School. He’ll be in Junior High for three years, having completed grades 1-6 in primary school, with three years of pre-school and kindergarten before that. Having recently outgrown a uniquely Japanese penchant for collecting enormous beetles, he spends time after school banging on a taiko drum. Cue the Ministry of Education, or specifically, the Ministry of Education, Culture, Sports, Science and Technology, or MEXT (The “X” strikes out the unwieldy center of “MECSST”). MEXT says that Tetsuo, like all Japanese kids, must attend Junior High. You and I – and Tetsuo – will decide where he goes after that. But while MEXT has some say over Senior High Schools, it’s not legally required, so the system has more flexibility. That means it gets a lot more complicated, confusing and expensive. In America, the public high school you attend is based on where you live. Americans consider this natural, but it’s often arbitrary and unfair. Since schools benefit from property taxes, upper-class neighborhoods have better-funded schools with better-paid teachers and all the perks that wealth provides. Japan’s system is convoluted, but many decisions from MEXT are based on rooting out inequalities, which keep popping up anyway. First, public high schools sort students by ability (teachers speak more subtly about “motivation”), using a series of entrance exams which are the scourge of Japanese childhoods. Second, Boards of Education rotate teachers between schools every April, ensuring that no single school accumulates a treasure trove of brilliant teachers while other schools are left with the dregs. The result, in theory, is a well-rounded staff across a spectrum of schools, and teachers who get a fresh start to their careers every three to five years. These staff rotations can also be problematic for students, however, as some teachers are naturally better with academic students whilst others are better with inspiring the “less motivated.” The staff rotation is, in principle, random, without regard for a teacher’s strengths. I often attribute this to a kind of “humility enforcement” on behalf of the Boards of Education: If a teacher gets too good, they might get cocky, which is unseemly. While the assignment process is random, many teachers have theories on what “actually” goes into the decision, with speculation ranging from logical observations to paranoid conspiracies. Obviously, teachers find these rotations are stressful, as they often mean uprooting their families to move to different places around a prefecture. Despite the egalitarian aims of the public system, less-regulated private high schools can charge whatever they want. 15 years of public school would cost $62,130 US dollars, where private schooling would come to $182,651. (In April 2010, the Japanese government started giving grants to every Japanese student, effectively making public education free, in the hopes that it would cut costs across the board). As a Junior High Student, Tetsuo has had nine years of schooling and has four or five left before university. But as far as MEXT is concerned, he’s got to be made into a proper Japanese citizen before he finishes Junior High. After that, MEXT can’t tell him what to do. These ideals have to be taught in Junior High, because that’s where their required education ends. After that, JHS feeds those students to the crushing machinery of entrance exams, through which they are packaged and distributed into their futures. That process starts with Tetsuo, age 13, wondering where he’s going to go to High School. In Wednesday’s post, we’ll look at Getting Into High School in Japan. You can ‘like’ This Japanese Life on Facebook. We’re already married, after all. This entry was posted in Teaching and tagged education, japan. Bookmark the permalink. 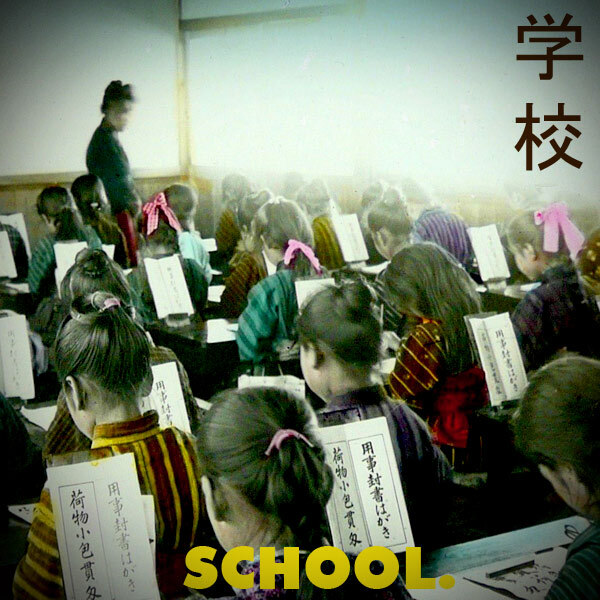 8 Responses to On Pretending to Know About Education in Japan, pt 1: The System! As always I enjoyed to read your article. I’ve been teaching in Japan for about 5 years now and the school system is very different from the one in my home country. (btw. most other countries such as America also have a completely different school system from ours). Personally I’m not really a big fan of the system. Students only have to study for their exams a few times per year, but are basically free to forget everything in the meantime. In my country we had tests almost every week and could never really stop studying. I also think it’s not a good idea to split students up depending on how well they did in entrance exams. I’ve seen best friends who were seperated because of that. This also puts a lot of stress on the students at a very young age already. I genereally don’t like how kids are treated here. At first they are (mostly) spoiled and parents won’t be strict no matter what and as soon as they enter elementary school their schedule becomes so riduculously busy! All the parents think that they might have a little pro soccer or pro pianist at home and so they need to push push push their children. After school, they go to juku and/or eikaiwa and after that they have to play soccer, baseball, learn how to play the piano, violin and whatnot. Some of them enjoy this busy schedule, but many don’t. They should be allowed to be kids and explore their unique talents. In Japan, the parents try to push some talent on their kids hoping their kids will become super famous and successful in the future. I don’t get it. It makes me sad and angry. I have a young, small family in my house. Great article! I was always intrested in Japan’s educational system, arigato! You’re right, and you spurred me into deeper research! I guess it’s typical for schools in America to draw funding from a mix of federal, state and local (property) taxes, and the mix will vary from state to state to municipality, as will restrictions on the schools students can attend. Local revenues *typically* cover about 25% to 55% of school funding (the national average being 28%) with state revenues contributing almost all but 10% of the rest. (That 10% is the feds). “Local” funding is covered by school boards, which are superlocalized, except in (ding ding!) Virginia and Maryland where the school boards are matched to counties! (And Hawaii, where the entire state is a single school district). So it’s a given that students can attend any school in a school district (assuming the school board says its OK) but very rare that two school boards would exchange students within a district, because then taxes from on municipality would be paying for students whose families pay taxes in another. The vast majority of US students will go to school in the attendance zone determined by their local school boards… but that “local school board” could have 150 schools, or 1. Thanks for keeping me on my fact-toes. I was also reminded last week that some Americans do, in fact, carry umbrellas! The things we forget. They teach gender equality at school? I’d love to know what goes into that lesson.